Lyngby-Taarbæk is a municipality in Denmark, just north of Copenhagen, with a population of around 50,000. The local council, or ‘kommune’, has around 4,000 employees, all working hard to create value for local people and businesses. The municipality and One Q worked closely together to identify each user’s needs and to complete a rapid, pain-free installation. With over 200 printers to upgrade, the decision was made to install One Driver on a Linux server – providing users with a single generic printer driver, performing the final print-job conversion whether locally or in the cloud. ‘Pull’ printing and ‘release-all’ printing were added to each terminal, with a push-printing option retained for around 100 devices. Schools have enjoyed greater flexibility of printer placement, especially around exam time. The time spent setting up workstations for exams has been reduced significantly, saving at least 30 minutes each time – This is important because exams often take place in gyms, requiring printers to be moved. The option to print from mobile devices is also popular with students and teachers alike. The implementation of the GDPR in May 2018 required organisations of every kind, right across Europe, to scrutinise the security of their printing. 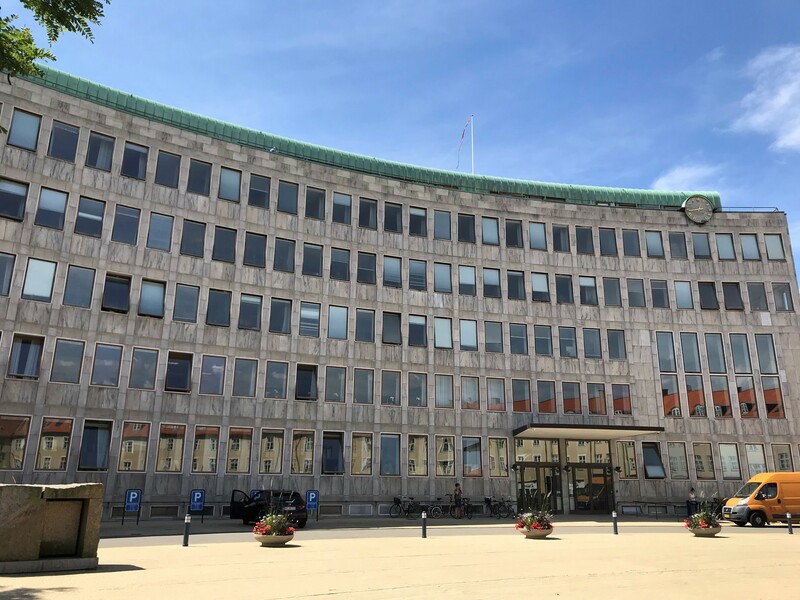 As a responsible kommune, Lyngby-Taarbæk was determined to ensure compliance with the new law – but this was proving a headache. So One Q stepped in to help the kommune solve any compliance challenges and make printing secure once and for all. As a result, Lyngby-Taarbæk was able to shift its focus back to core business, thus protecting productivity. The kommune’s fleet of printers now operates at maximum efficiency, yet without significant cost outlay from public funds. Security is no longer a worry: confidential information can’t be sent to the wrong printer, and no one can collect other people’s print jobs. Printing is GDPR-compliant. Administration, maintenance and user account management are now simple and centralised. Printer management and support now take just an hour a week; previously, it was a 1,5-day-a-week task. This has helped the kommune to cut costs by reducing personnel and the helpdesk’s workload. Users can switch between printers (even between sites) without changing workstations. Customisable options permit printing from mobile and personal devices. Users enjoy a single interface for printing, copying and scanning at every printer, saving time and frustration – and boosting productivity. One Q has now been working with the Municipality for over 2 years, helping ensure the efficiency and security of over 200 Konica Minolta and Ricoh multi-function printers. * You can download the case story or review it online in PDF HERE.